We're in this together! Gather and serve alongside other women, in all ages and stages of life, to discover a deeper understanding of God's Word, to demonstrate God's love towards others and to establish a more personal relationship with Jesus Christ. Join us for a fun DIY wood-sign workshop night, and make sure to invite your family and friends! No skills required - We'll guide you towards creating your own stunning masterpiece! A workshop designed to show us how to better experience the power of listening. 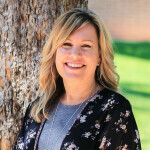 Come and listen to our guest speaker, Terri Lee, share how she learned skills that transformed her family and helped her unpack the challenges of life and relationships. You're invited! Classes are designed for both the seasoned and new believer, studying God's Word together, building friendships, praying for and encouraging one another. Summer Classes Start June 19! We are not boring nor is what God gave us to do today boring. God is ever so interested in even the smallest detail of who we are and what we do. There are moments in life when we wish our calling was more "interesting" or "amazing"...but what we really need is more strength to comprehend the wonder of his loving ways toward us. Join us and learn from an amazing team of teachers (from Grace Community Church) about our Identity in Christ, Discernment and Prayer - in 7 unique classes. Spend treasured time in worship, be encouraged by testimonies, and engage in fellowship... YOU belong! Despite the way disappointments may shake our worlds, they don't have to signify the end. In fact, they are often what is needed in order for something new to begin. We invite you to join us for a book study of, "It's Not Supposed to be This Way", facilitated by Bitsie Fort. Discover fresh biblical insights and reorienting perspectives in your own journey of faith, as we navigate this life between Eden and eternity. Easter Events and opportunities to serve begin April 13.